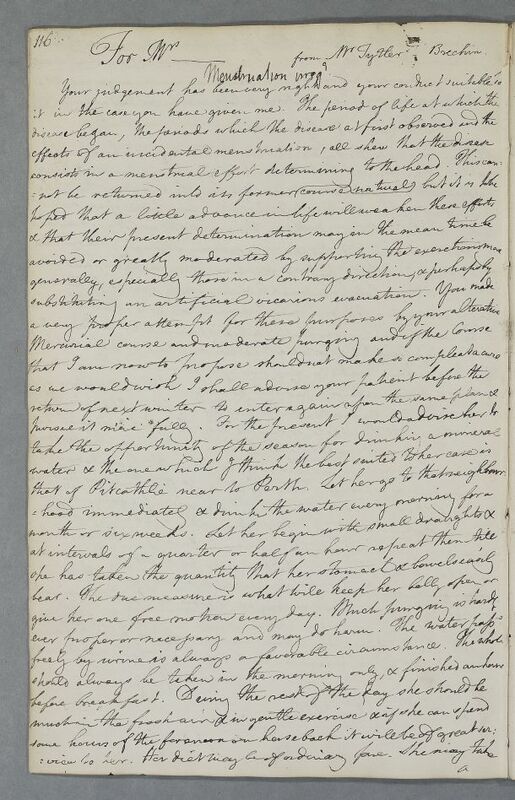 Reply headed 'For Mrs _________ from Mr Tytler Brechin', conceding an unnamed female patient who is advised to take the waters at Pitkeathly, near Perth. 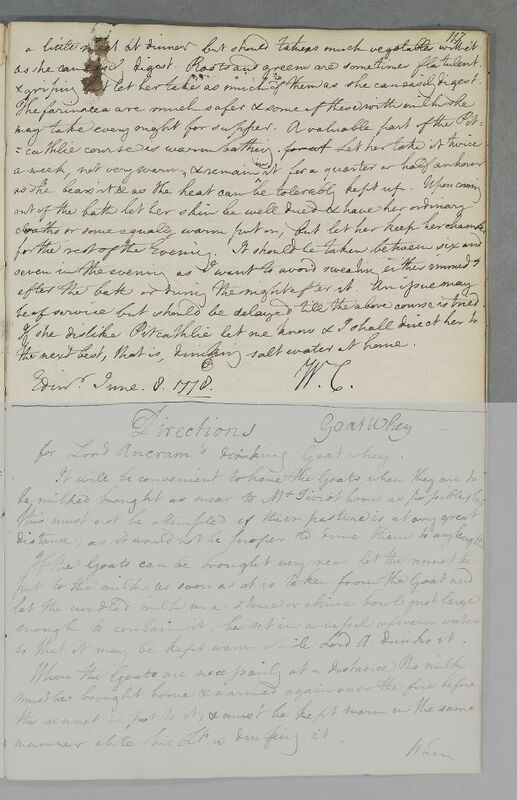 Summary Reply headed 'For Mrs _________ from Mr Tytler Brechin', conceding an unnamed female patient who is advised to take the waters at Pitkeathly, near Perth. Case of an unnamed female patient, a 50 year old mother of fifteen children who is beset by megrims and a scorbutic eruption on her face, referred by Henry William Tytler of Brechin, a former pupil of Cullen. & griping but let her take as much of them as she can easily digest. be of service but should be delayed till the above course is tried. the next best, that is, drinking salt water at home.